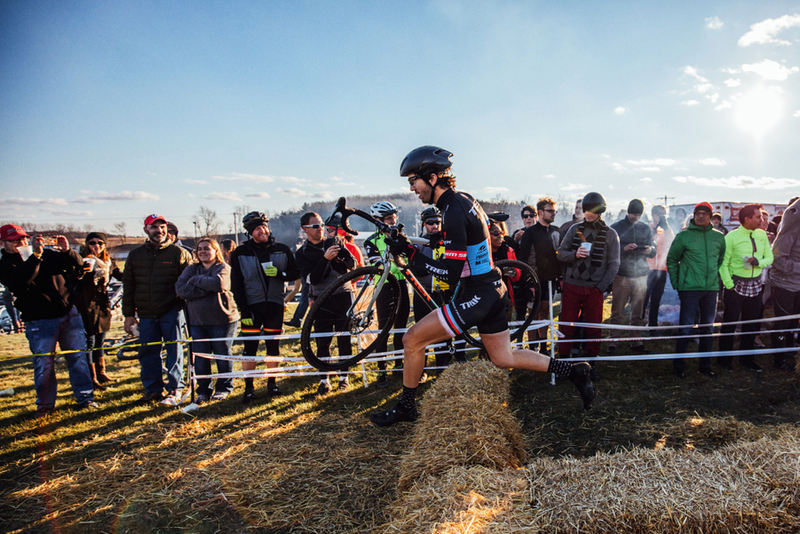 Cyclocross-or cross, cyclo-x and CX- is a cycling discipline that mixes road bikes, trail havoc, purposeful obstacles, lung-searing intensity, and a lot of fun for riders and spectators alike. 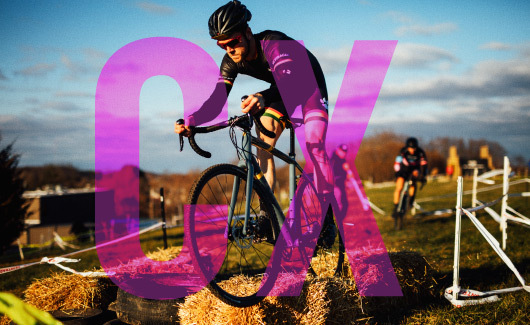 Cyclocross was born at the turn of the last century when road racers took their bikes off-road through fields, down muddy paths and over fences as a way to keep in shape during the bleak and cold winter months. It quickly became popular in France, Belgium, and European neighbors who excel in the sport. Cross races are intense affairs lasting around one hour. This is great because it is inclusive to many levels of riders, and it makes for a fun day that gets you home by lunch. Courses are loops in parks, school yards, soccer fields, and vacant developments. The terrain is a mix of tarmac, gravel, grass, and trail, with some natural and man-made obstacles to navigate. You will practice not only riding hard and fast, but dismounting, running, hopping, and negotiating through sand and mud. Intense, sure, but the close-in course and short duration makes cross very fan and family friendly. Spectators can watch up-close and contribute encouragement and playful harassment. A cross bike can be as simple as a road bike outfitted with wider, knobbier tires, or even a mountain bike. But to perform best in this environment, these bikes are further tuned to maximize its effectiveness. 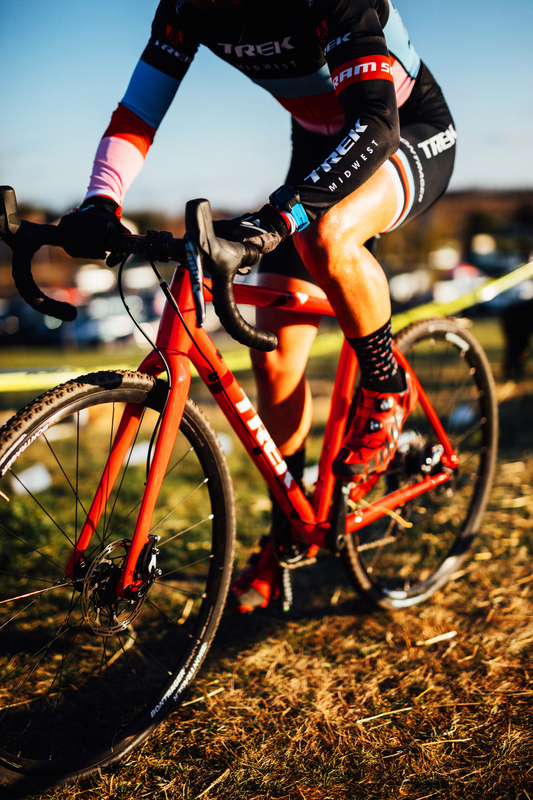 Cyclocross bikes are based on road bikes with some differences, primarily, knobby tires and increased clearance between the tires and frame. This extra clearance means either cantilever or disc brakes are necessary. The geometry is tailored for riding off-road, with a higher bottom bracket and usually a slightly more relaxed head angle the key changes. If you are racing, dump superfluous things like bottle mounts, fenders, or rack mounts. Put them back on for commuting. Speaking of commuting, the cross bike does a great job of multitasking for commuting. Put your fenders and racks on and tackle the potholes. Gearing is lower on a cyclocross bike, as the speeds are a lot slower than on the road. 46/36 chainrings are fairly common, with a wide range cassette like an 11-32 for coping with steep hills. Most cyclocross bikes have cables routed along the top tube. This keeps oft-suffered mud out of the gear cables. The sea change is happening. Cantilever brakes have been the brakes of choice in cross for their stopping power and mud clearance. 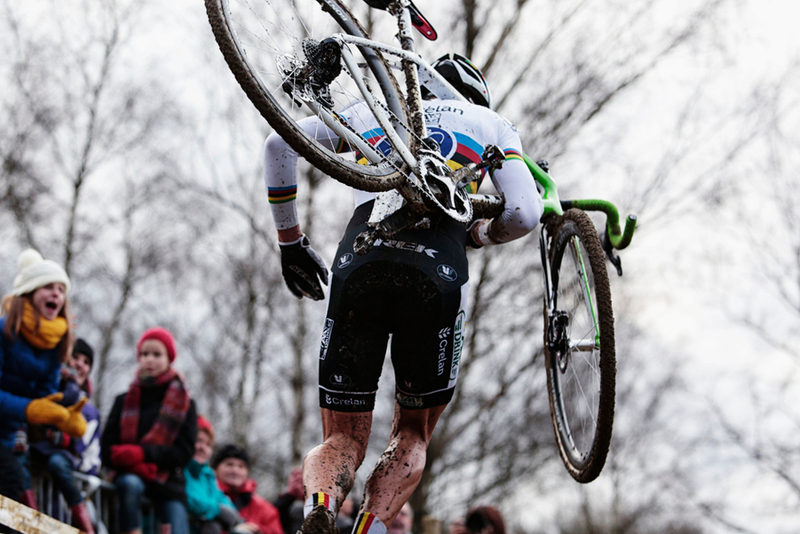 Now that the UCI has permitted disc brakes in cyclocross, there is no stopping (pun) disc takeover. Check out the Cannondale SuperX. Why Should You Ride Cross? Cross racing is accessible for its category generosity, race duration, and acceptance by friends and family. Riders of all stripes can mix it up and be in the thick of it. Plus, it's just fun. Suffer for an hour, eat and drink for two. Or three.